If you want to dip your toes into the waters of home automation, smart light switches are a fantastic place to start. They take the mundane task of controlling lights throughout the house and add variety to it by letting you set their working hours, brightness levels, and interactions with other smart devices through your phone or tablet. Grouping all the lights in one room or ones from multiple rooms is also possible so you can create elaborate lighting arrangements for anything from an energetic start of the day to a relaxed ambiance in the evenings. We’ve done research on over a dozen different models and present those that made the cut in the reviews below. Whether you’re in search of a comprehensive lighting solution for your entire house or just want to be able to turn that one pesky light on without stumbling through a dark hallway to get to it, the right smart wireless light switch for you awaits. Has an innovative design and customizable controls. Can easily be setup and has a stable connection. While light switch manufacturers go out of their way to simplify installation, this is where most problems tend to happen. Before buying, familiarize yourself with the light switch setup you’ll be replacing. See what wires there are and take pictures so you know which wire goes where. Keep in mind that most switches need four wires including a normal wire so they can draw power correctly. Smart switches are also much deeper than normal ones, so measure the junction box beforehand to make sure the new switch will fit. Another important installation factor to consider is what kind of switch setup your new model supports. One-way switches are the most common and straightforward. In this arrangement, the lighting fixtures in a room are controlled by one switch. Three-way switches enable you to control the lights from two different places and support for them isn’t as widespread. Incandescent and halogen lightbulbs are slowly but surely disappearing and LED ones both smart and dumb are taking their place. Not all LED bulbs are dimmable though. Their circuitry might not be compatible with your dimmer switch and this can result in strobing, flickering, or malfunction. Before getting a wireless dimmer switch, familiarize yourself with the kinds of bulbs it supports. Your smartphone or tablet is the ideal smart switch remote control. Not all switches connect to it the same way though. Bluetooth and Wi-Fi are the two standard connection methods. Bluetooth has a much shorter range and its use is local while Wi-Fi lets you adjust the lights from anywhere. Wi-Fi is prone to connection issues and depends heavily on the quality of your router. 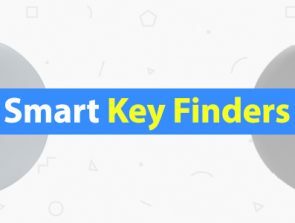 Bluetooth can easily be disrupted by the presence of other nearby devices that connect through it. That’s why it’s a good idea to consider switches that use lesser-known protocols to establish a connection. 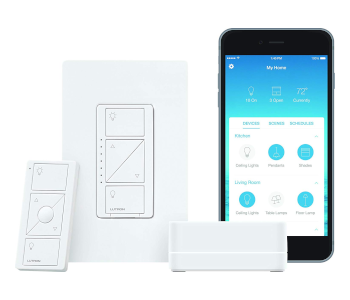 Lutron has Clear Connect, Insteon has their own proprietary mesh network, and there are a host of other solutions that support protocols like Zigbee and Z-wave. These solutions are usually a bit more expensive as they require a separate hub. On the other hand, the connection is free from interference and stronger. 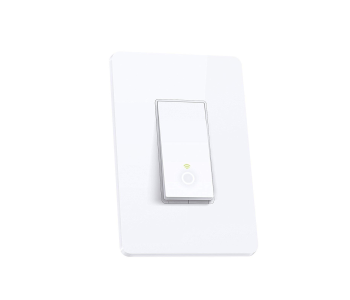 Even though Lutron has released the Caseta two years ago, this versatile wireless light switch continues to impress with its multitude of features and widespread integration. It’s a sophisticated dimmer, light controller, and burglar deterrent in one elegant-looking package. On top of all that Caseta is cheaper now more than ever! If you’re serious about taking full advantage of your home’s lighting, the Caseta is the first and best solution for it. The first thing you’ll notice about Caseta switches is their intriguing multi-button design. The upper- and lowermost buttons set your lights to full brightness and a pleasant low glow respectively, while the two middle ones let you fine-tune the brightness to suit your mood or the time of day. Installation & setup are a breeze too. You’ll need to turn the power off to replace your old switch and have a free Ethernet port to connect the Lutron hub too, but neither the physical installation nor the subsequent pairing to your smartphone take long. You need the hub because of Clear Connect, Lutron’s proprietary wireless protocol. While this means you’ll have another small gadget cluttering up space around your router, Clear Connect is a highly robust connection method that makes the Caseta behave flawlessly and experience minimal connection or interference issues. The Lutron app is a textbook case of functional design. It gives you access to individual or grouped lighting control, scene creation, and various operation modes through a clear interface you can customize to a greater degree by adding pictures of rooms and naming the lights that are associated with them. Geofencing is of particular use since it controls the lights based on your phone’s current location. Tied to this is the Smart Away mode that toggles lights on/off at certain intervals, giving the illusion that someone is home. 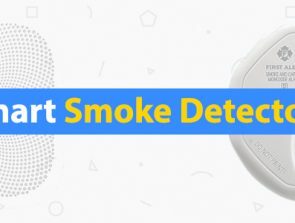 Caseta is also noteworthy for supporting many 3rd-party smart home products. You can control it via Alexa, Siri, or the Google Assistant, and can even adjust other gadgets’ settings from within the Lutron app. The Caseta’s price has gone down considerably recently, but it still remains one of the most expensive smart light switches on the market. If the only thing you want from yours is to be able to turn the lights on with a tap on a cellphone’s screen, there are far less expensive options out there. This switch is quite big, so make sure that there’s room enough for it before buying. Belkin’s original WeMo Light Switch stepped into the limelight in 2013 and was received with enthusiasm by the fledgling home automation community. People had only one major complaint back then – WeMo couldn’t dim your lights. The ability to do so is the main selling point of its successor, but far from the only new feature it brings. Modern design, a comprehensive app, and an acceptable price make the WeMo a worthy alternative to Lutron’s Caseta. The WeMo Dimmer Switch is the best-designed model we’ve tested! This is partly due to its modern minimalist look, and partly because of the innovative way you can use its touch controls. Tapping on the bottom will turn the switch on or off. In its middle, there’s a groove with multiple tiny LEDs that you can slide over to set the lights’ brightness level. You might not get it right the first time, but as you use the WeMo more it will become second nature. When the lights are off, a small indicator LED remains lit to show you what brightness they’ll be at when turned on again. The WeMo app has received quite an overhaul as well to accommodate all the new features this model supports. These are mostly focused on dimming. There’s a night mode that lets you set lower brightness levels during late hours, sliders for brightness control on the fly, and dimming timers which regulate brightness over a fixed period of time. There’s an Away mode similar to Lutron’s too. In the app you can also customize what happens if you hold down the power button. Without using IFTTT, this is limited to arming the Away mode or controlling products like WeMo smart plugs. With IFTTT active, you can use that long press to give orders to 3rd-party gadgets as well. Speaking of which, WeMo supports the three most popular virtual assistants and can be connected to the Nest Learning Thermostat to take advantage of its Away mode. With Away mode active, the lights can either remain off or turn on from time to time to confuse burglars. If you’re tempted to get WeMo rather than Caseta, make sure that your light setup is one-way as it can’t be installed with a three-way connection yet. One of WeMo’s advantages over other models is that it uses Wi-Fi to connect to your smartphone and doesn’t require a hub. While this is convenient, it means that you’ll need a strong connection or else the switch won’t be responsive. Insteon is known for making interconnected smart home devices that use a special kind of network to communicate with your phone and each other. The Smart Dimmer Wall Switch is no exception. It features a strong connection you can rely on throughout the house and a handful of dimming options other manufacturers didn’t make part of their models’ features. It’s also a bit cheaper than our favorites, so if you’ve got multiple switches that need replacing the difference can become significant. Insteon’s dimmer switch could pass as a standard model were it not for multiple color options and a series of LEDs on its left side. These function as brightness indicators and come in handy when you’re setting the brightness level up manually. A great thing about the switch is that you can set a default brightness to which the switch resets each time you use it. Open the app up and you’ll discover even more dimming options. There’s the standard timer for when you want the light to gradually become brighter, but there’s also the option to set the rate at which brightness changes. Scenes are another standard this switch supports and work much the same way as those of other models. One standout feature of the app is how it handles connecting the switch to other Insteon products. 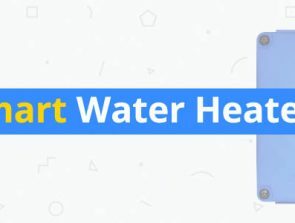 Whether it’s a motion sensor, garage door controller, or smart plug, setting the switch up to turn a light on when one of these devices is triggered is easy to do inside the app and doesn’t require IFTTT. You’ll need to have the Insteon Hub for the switch to work. Getting one for the light switch alone isn’t worth it since it doubles the cost. You’re most likely purchase this switch if you’ve already invested in one of Insteon’s many products, or plan to in the future. This dimmer switch might not work with certain types of dimmable LED bulbs. It may be able to power them on, but the dimming feature won’t work. How many times have you fumbled around in the dark while trying to find the light switch, usually without success? 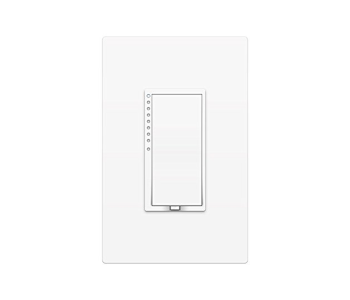 One with a nightlight would sure come in handy, and while some other switches on our list have nightlights of their own, none is as versatile as that found on the iDevices Wall Switch. The switch itself is quite standard and can do anything others can – its integrated night light is the real reason you’ll want to spend some money on it. Design-wise this switch is almost as plain as they come. It sports a standard rocker look and produces satisfying clicks once pushed. Unlike more futuristic models your grandparents would need some time to get used to, anyone will know what to do with the switch as soon as you install it. The process doesn’t differ much from standard light switch installation. Just make sure you’ve got a neutral wire and that you’re replacing a one-way switch as it doesn’t work with three-way setups. 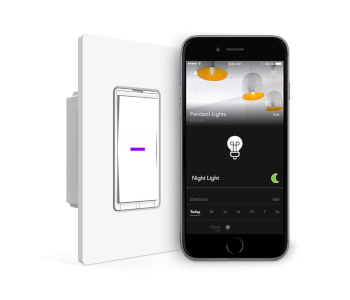 iDevices makes a wide range of products that integrate into the HomeKit environment, so you can control the switch through either app. The nightlight has an independent set of controls from the switch. You can set its brightness and color or integrate the light into scenes. The night light’s behavior can be changed by using a timer, which is a great way to let the kids know it’s time for bed. The light switch is not a dimmer, so its controls are much more limited. Still, you can set a timer for it, group multiple switches together, and make them part of HomeKit’s scenes. Voce activation is an option as well. iDevices product are clearly designed for the iOS environment and the app doesn’t behave as smoothly on Android. Apart from the night light, the switch’s functionality is basic while its price rivals the Caseta’s. Other manufacturers include faceplates with their switches. You’ll have to buy one separately if you want to cover up the unseemly holes sometimes left behind after installation. Do you live in an ancient home with complicated wiring you’d rather not touch? You’ll have to update the lighting someday, and if you want to spare yourself the hassle and expense of having to rewire, replaster, or rebuild, you need something like this wireless switch made by Breezesmile. It may not be smart in the conventional home automation sense, but it solves a potentially complicated and expensive problem in a smart way. The premise behind this lighting kit is both simple and genius! It consists of a receiver which hooks up to your existing light wiring, and a self-powered switch you can place anywhere. The switch comes with a piece of adhesive tape for easier placement and receives power through the very motion of switching, meaning that you’ll never need to worry about running out of batteries. It’s also water-resistant and can be used safely in the bathroom or to control porch lights etc. That’s just scratching the surface of what this kit can do. The more components you buy, the more versatile it becomes. Additional switches and receivers are sold separately at affordable prices. Get an extra switch and create a three-way connection so you can control a single upstairs light from a downstairs location as well. Or you can purchase extra receivers and control four lights simultaneously with a single switch. How far apart can switches and receivers be placed? 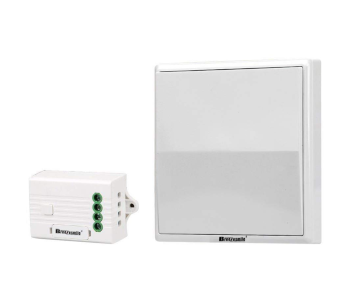 The signal the switches put out is exceptionally strong and can cut through three walls or two stories with ease. This really extends your options – you can turn an attic light on from the ground floor, light up a bulb whose switch is hard to get to from outside of the room, and much more. The act of controlling the switches remains purely physical. In other words, there are no web or phone apps to make use of and voice assistant support is non-existent. The switch’s design isn’t all that great either – it’s just a large uninspired square. That’s perfectly OK if you want to put it in the laundry room, but the switch may look out of place in a modern living environment. Some people see no point in dimmer switches, preferring to have their lights shine brightly when they need them and be completely turned off when they don’t. TP-Link’s Kasa caters to just such an audience and anyone else who could use something cheaper than Lutron’s and WeMo’s offerings. Kasa is easy to install, functional, and reliable while coming in at almost half the price of its more expensive competitors. This model closely resembles an oversized version of a standard light switch, with a few welcome additions. These come in form of two lights – one to tell you whether it has Wi-Fi access, and the other to subtly glow when the switch is turned off so you can find it in the dark more conveniently. TP-Link has done an awesome job when it comes to installation – not only is it straightforward, but the Kasa app contains instructions that are easy to follow along with even for someone with little DIY experience. The app serves as a hub for TP-Link products and gives you control over smart light switches, plugs, bulbs, and more. The light switch section starts with a simple screen where you can toggle detected switches. “Scenes” is where you can group lights and set up how they’ll behave with a single command. Finally, “Automation” lets your lights interact with other smart home devices like thermostats or motion sensors and be triggered by their use or change in behavior. Kasa supports almost all major voice assistants and even works with Microsoft’s Cortana. Siri and HomeKit are absent though, which we hope TP-Link will address in the future. Even though any supported virtual assistant responds to commands promptly, we’ve found that Google Assistant works best. 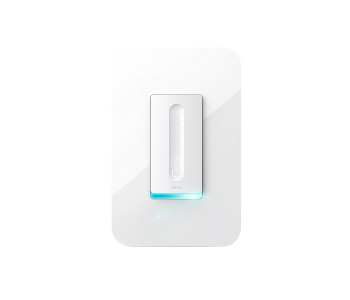 As another light switch that connects through Wi-Fi, Kasa comes with the same set of advantages & problems as the WeMo. 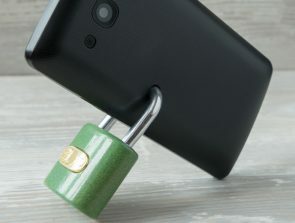 The app will sometimes lose connection to a switch altogether, forcing you to reset & recognize the offending switch before it can be used again.